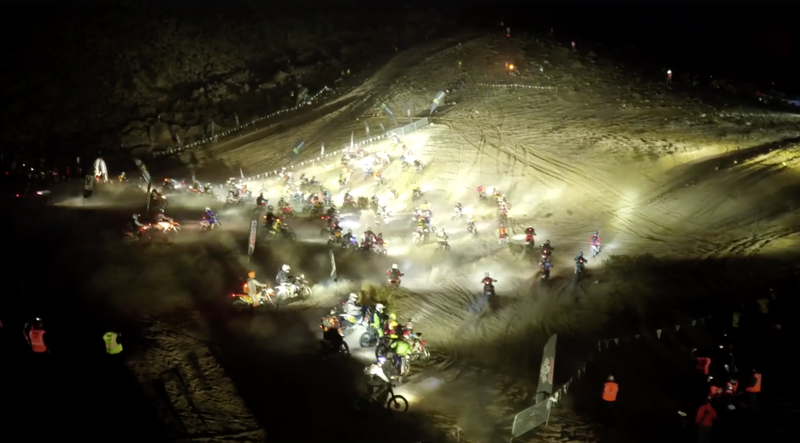 While you were out drinking last night, about 90 lunatics on dirt bikes were going to war with each other over ridiculous terrain in the pitch-black Mojave desert. Just... just watch. All this week, hordes of gearheads, racers and adrenaline junkies are descending upon the rocky wasteland that is Johnson Valley, California to be part of King Of The Hammers 2017. 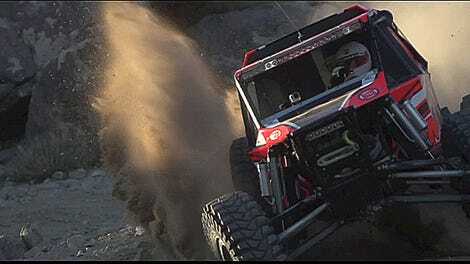 KOH is the championship race of the Ultra4 series, which is a competition of “cars” that are essentially steroidal Jeeps with huge engines, huge tires and suspension travel. But the “event” has since grown to be a weeklong celebration of desert racing, this year starting Feb. 3 and continuing through Feb. 11. The KOH race itself takes place on Feb. 10, I hope to be there from the 9th to the 11th (say hi! ), but the motorcycle element called King Of The Motos is underway as I write this. KOM is broken into three races: Saturday night’s “night race” you saw in the video, a fast desert race Sunday and an extremely technical off-road race also on Sunday. I haven’t seen any “official” action go down at night at KOH week myself, but we got some great photos from the 2015 event to give you a glimpse at what the atmosphere’s like. Today KOH organizers reported 23 Pro riders and 64 Amateurs and 4 Team (relay-style) entries made the starting line last night, which as you can see kicked off with a mass start that turned into an elbow-to-elbow clawing match up some seriously steep rocks. I’m not completely sure how many racers actually finished last night’s event, but KOH put Taylor Robert, a KTM factory-sponsored rider, as the fastest finishing the course in 29 minutes 23 seconds. His teammate Cody Webb was one second behind. The first Amateur place went to Evan Ask, with a reported time of 53 minutes. Riders had no pits stops, outside assistance or help whatsoever. Stay posted on race results and happenings on Ultra4’s news page and the King Of The Motos Facebook Page which I imagine will be pretty active for the next 24 hours. And if you’re anywhere near southern California, there’s still time to catch plenty of action in Hammertown this year!